Born on May 7, 1915, Hedley Mattingly is best remembered by Daktari fans as Officer Hedley. 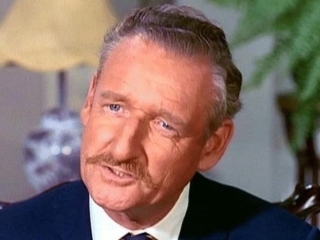 From All Movie Guide: British actor Hedley Mattingly primarily played character roles on television and only occasionally appeared in feature films of the 1960s. The London-born Mattingly launched his career as a Shakespearean actor. Following service in the Royal Air Force during WWII, he worked as the Front of House manager at the Theatre Royal, Windsor. Mattingly and his wife, costume designer Barbara Mattingly, emigrated to Canada in the early ’50s. He became an actor for CBC Television and appeared in several dramas. The couple became Hollywood residents in the 1960s. From Wikipedia: Born in London, England, Mattingly was featured in Alexander Galt: The Stubborn Idealist (1962), King Rat (1965), and The Bermuda Triangle (1979). 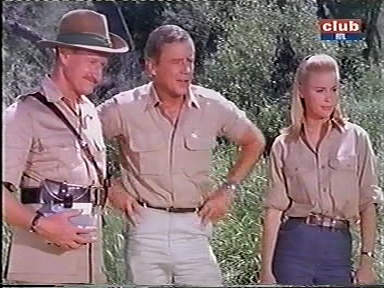 Mattingly portrayed the role of Officer Hedley in the CBS television series, Daktari (1966–1969) starring Marshall Thompson in the title role. In the 1960s and 1970s, he guest-starred in the NBC series Thriller (1962). He also appeared on The Alfred Hitchcock Hour, Perry Mason, Mannix, Night Gallery, Ironside, and Columbo. His last appearance was in the film Riot (1997), with Sugar Ray Leonard. He passed away from cancer at the age of 82 on March 3, 1998. Are you a fan of Daktari? I don’t know myself but I’ve put out a query to our resident experts to see if someone can answer your question. External and/or internal views of Hedley’s Wameru Sub District Office are featured prominantly in three episodes (1.3, 2.14, 2.18). I do not recall the name of its location ever being referred to. Footage preceeding the views of the Sub District Office in the above episodes show a collection of native buildings on a larger scale than those normally used to represent local African native villages, so it can be assumed that Hedley’s office is located in a larger regional centre. In fact, mention is made in Episode 1.3 to this regional centre having a hospital. Ngoro is often mentioned in DAKTARI as a large settlement where they go for shopping, supplies, etc. It is also the location of the orphanage where Jenny comes from. But it can be assumed that Hedley’s office is not located in Ngoro as he often mentions having to travel there for official business himself. So sorry, I can’t help with this enquiry.